Santiago, Chile. The city is covered in ash. Three children of ex-militants are facing a past they can neither remember nor forget. Felipe sees dead bodies on every corner of the city, counting them up in an obsessive quest to square these figures with the official death toll. He is searching for the perfect zero, a life with no remainder. Iquela and Paloma, too, are searching for a way to live on. 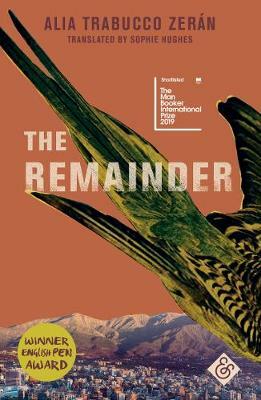 When the body of Paloma’s mother is lost in transit, the three take a hearse and a bottle of pisco up the cordillera for a road trip with a difference.Intense, intelligent, and extraordinarily sensitive to the shape and weight of words, this remarkable debut presents a new way to count the cost of a pain that stretches across generations.